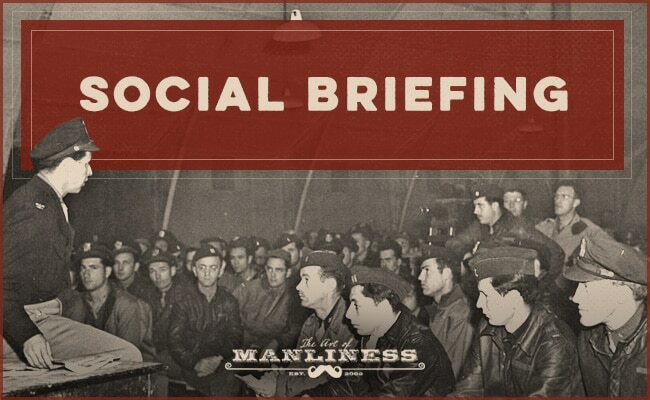 Social Briefing #12: Should You Talk About Politics, Religion, and Money? You’ve probably heard it said that you should never discuss religion, money, or politics with people. In terms of discussing these “charged” topics with good friends you’ve known awhile, this adage is overly cautious. While you should probably proceed with caution when it comes to talking about money (it can produce ripple effects and reactions that are more visceral than one anticipates), conversations on politics and religion are too interesting and enjoyable to give up. These are some of the most animating parts of life, after all. But when it comes to avoiding the topics of politics, religion, and money with new acquaintances — folks you’ve just met — there’s a reason this piece of advice is so timeworn. The introduction of these “controversial” subjects can lead to a conversation getting overly heated, create misunderstandings, cause people to take offense, and end a relationship before it’s even begun. The difference between discussing charged topics with old and new friends rests on the fact that among the former, you’ve already built a relationship of trust and respect that allows them to disagree with you civilly. They know the whole context of your life. They can say that even if they disagree with you on a certain issue, they love you anyway. They know that your opinions on certain topics represent just one part of who you are. So while it’s tempting to let it all hang out with everyone, all of the time, it’s best to move into dicier stuff gradually — to first build a supportive scaffolding of trust and respect. Yet, even though this is generally the wisest, and certainly the safest route, taking it needn’t be a hard and fast rule. Feel out their interest. If you float a controversial topic into conversation and the other person doesn’t bite, don’t force it. Move on to something else. Don’t assume someone shares your convictions before they’ve said so. For example, if you want to talk about politics, rather than saying, “Trump’s a real clown, eh?” ask, “Did you watch Trump’s latest press conference?” From their answer, you’ll usually be able to assess their feelings on an issue, and decide how to couch what you say next. Have a discussion rather than an argument. What’s the difference? A wise writer put it this way: “in discussion you are searching for the truth, and in argument you want to prove that you are right. In discussion, therefore, you are anxious to know your neighbor’s views, and you listen to him. In argument, you don’t care anything about his opinions, you want him to hear yours, hence, while he’s talking you are simply thinking over what you are going to say as soon as you get a chance.” Instead of trying to convert someone you’ve just met to your side, aim to understand how they’ve arrived at their convictions, where your positions differ, and the common ground you share. Keep calm. At little bit of heat keeps things interesting, but too much animosity can repel you apart. Avoid inflammatory language, and try to keep the conversation friendly and fun. If things are veering towards the acrimonious, change the subject, rather than continuing to hit your new acquaintance over the head with your opinions. Any topic of conversation can be on the table as long as you handle it in a tactful way. All you really have to remember is this: stay kind and curious.